Today is an enforced rest day – we are waiting to receive an English guide book from the Camino Forum store in Santiago. It’s a good idea anyway for MB’s leg. 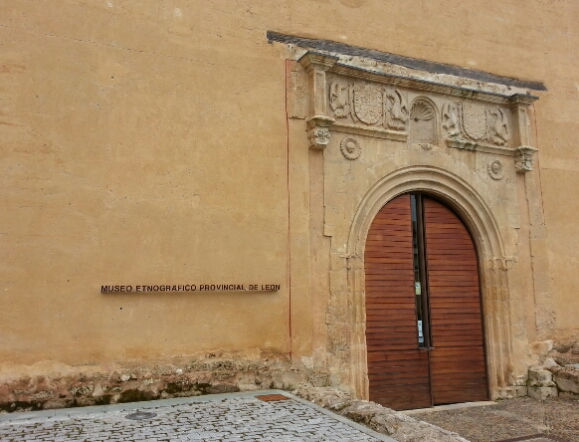 Last year I visited an excellent Museum in Mansilla de las Mulas, that shows the way people have lived in the region mainly during the last few hundred years. On the Camino, one sees constant evidence of these house styles, agriculture and way of life. So, we took a bus 20 km back (i.e. east) to go to the museum, which MB agreed was very worthwhile. 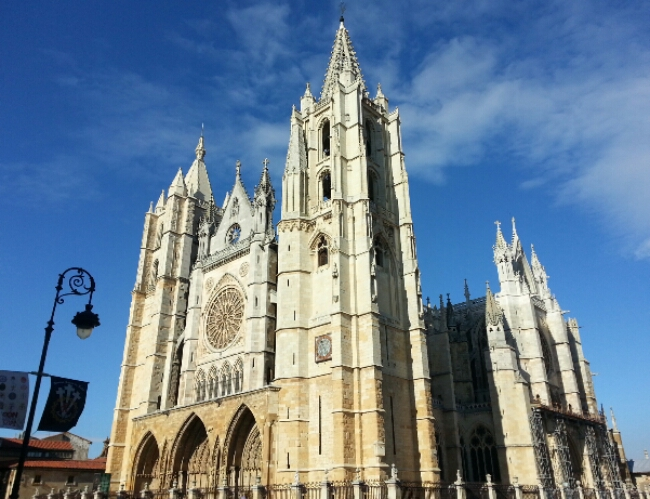 Back in Leon, we did the usual city things – cathedral, getting lost in narrow streets, finding appropriate food, window shopping. Our books arrived from Ivar in Santiago, so we’re getting ready to walk again tomorrow. This early in the “spring”, the weather and vegetation are quite similar to November, but the days are longer. March 18, 2016 in Camino 2016, Camino de Santiago. Thanks for the museum recommendation! Any wild flowers showing up yet? Just some tiny daisies and dandelions. It’s quite early and temperatures are going down to 2°C at night.